The announcement of the Korea StarCraft League, KSL back in June was welcomed with open arms by a passionate community that wanted to watch the best of the best compete. Alas, Flash was unable to join the competition due to other obligations, but this tournament is packed with some of the best BW players on the planet right now. It will be interesting to see whether Rain can win a second BW title or if his hunger has diminished after his ASL5 win. A few other questions include, but are not limited to: will Mind finally crack the Ro8? Can Last make a mark with his last finals appearance dating back to SSL10 in 2014? Will the tyrant surpass his previous ASL finishes? What about Stork or any of the previous ASL runner-ups such as Snow, Shine, Sea and Sharp? KSL changes things up a bit with both Polaris Rhapsody and Fortress SE, 2 maps that were played on in 2010/2011, added to the map pool. The group stage also consists of Bo5 series compared to the Bo1 format used in ASL. Read on for the preview of groups A, B, C and D written by Ty2, FlaShFTW, BLinD-RawR and Ziggy respectively. With the first group set to start in , it's time to see who shows up! Let's get hyped! The KSL begins its debut already bemoaning the hit to its prestige from Flash's noticeably sore absence. However, if there's any Terran more than capable of taking up the mantle, it's the beloved Terran Kim Sung Hyun, aka Last. Aptly known as Terran No. 2, the title is well deserved by his impeccable sponsored game results month after month. However, to many skeptics the sentiment rings hollow in recent memory of Last's brief slump. Fans looked in shock as Last in unprecedented fashion had to participate in all four of ASL 5's qualifiers before finally winning a ticket. Along the way he lost some games in notably horrific fashion to notably sub-par opponents. Back stronger than ever though, Last shows his reputation wasn't built on a fluke, rising back up to his rightful 2nd place spot. Not to be discounted as a lesser Terran, perhaps here, Last will showcase a performance that outshines Flash's stifling shadow. First, though, he'll have to prove that he can recreate his online success in the offline arena. The first man in his way to the limelight is Mini, a Protoss with a few tricks up his sleeve and an unrelenting itch to blow up SCVs w/ scarabs and make mass shuttles. Although Mini's micro and early to mid game is on point, he more than lacks the muscle in the late game to finish his opponents off cleanly. The rough edges of his play show especially through his 4:10 record vs. Last in the past month and a half in sponsored games. That's not to say Mini can't win, especially in series play where Mini can be especially prepared for a defensive Last. Even though a few hopeful Protoss want to see a glimmer of hope in Mini, Last is simply too good by too far a margin to lose. Naysayers will bring up the offline nature of the event which Last has been shown to struggle with. Optimistically speaking, the new environment of the KSL in the low stakes group stage will allow Last to perform similarly to his online play. Putting the state of affairs bluntly, Rain vs. Movie will be an exhibition show catered to Rain. Front and center is victim Movie, trying his best to overcome odds far worse than Mini's. Needless to say, ASL 5 champion Rain won't lose to Movie who relies mostly on greater strategic decision making and tactics to outdo opponents at the top ranks where he lacks in raw mechanics. Where Movie is good, Rain is phenomenal, with a world class mechanics game to boot. Described as incredibly solid all around, with an almost flow-chart like efficiency, the match is more akin to a dissection than a matchup. No offense to our hopeful veteran Movie, but there's not much to say besides that he's simply just outmatched. Assuming the predictions are correct, Movie will face off against Mini in another tenuous game of fisticuffs. The two previously came to grips in ASL 5 with a game more dizzying than intense as both players struggled to land a killing blow. Mini was the one who finally gained the edge in the long game, and Group A will be more or less the same I predict. As for Rain vs. Last, the game is by far the highlight that everyone will look forward to. The two players may make for a series that may be incredibly evenly matched, but also potentially lopsided. Even though the laidback Rain can make little work of Movie, how much he's practiced for the Ro16 will make all the difference against the incredibly refined Last. I can only expect the strongest of pressure games from Rain to throw Last off. Overall, Last appears to have the best of chances only having to practice a single matchup. In second place, if not first, will be Rain. Mini and Movie will have to try their best to take advantage of the volatility of the PvP early game against Rain to possibly steal a spot from Rain to the next stage. Last and Rain to advance to the Ro8! I would argue that the average talent in Group B is the highest out of all the other groups. The entire group is filled with ASL runner-ups, Sharp from ASL1, Sea in ASL2, Shine in ASL3, and Snow in the recent ASL5. Each will be hungry to prove that they’re contenders for the crown in the KSL. With each set being a best of 5, we will have to see what each player has prepared for this grueling group stage. Snow : Snow’s playstyle has been consistent throughout his entire career, dodge PvZ matchups, and crush PvT and PvP. Unfortunately, he’ll be paired up against Shine in the opening match and knowing that the matchup is a Bo5, he’ll need to reach deep into his knowledge pool to see how he can outsmart the Bag of Builds. Snow’s PvZ has been incredibly lackluster, even more so recently, getting embarrassed out of the DanJJING Starleague by MIsO in the Ro32 (he even dropped a game to him in ASL5 Ro24. While he’s had some varying success in the KCM Race Wars against Zergs, clearly Snow has not improved much in that department. His PvT still looks phenomenal, and after knocking out Flash in the ASL, he’ll have all the momentum against weaker TvPers, Sharp and Sea. So long as he can dodge Shine in the final match, Snow should be able to push himself past the other 2 Terrans. Shine : The Bag of Builds is back and with a Bo5 format for all matches in the group stage, he’ll be ready to concoct a devious series plan against all of his opponents. While I might have said Shine would potentially not advance out of this group in a standard Bo1 format, Bo5s will greatly increase his chances of victory with his excellent preparation skills. His ZvP has looked strong, having not dropped any tournament ZvP in the longest time, and therefore should have no real issue dispatching Snow in their opener. His ZvT, on the other hand, is rather mediocre, trading games with Terrans like Sharp and Light on KCM and other tournaments. With his inconsistencies, Shine will be hard-pressed to advance from the group against Sharp and Sea. Ultimately, Shine’s ability to advance will derive from whether or not he can prep well enough against these Terrans. Sharp : The TvT specialist is quite pleased to face off against Sea in his opening match. Sharp has been playing rather well, able to make consistent runs in the KCM Race Wars and even being undefeated in the Moo Proleague, taking down players like FlaSh and Larva during his run with ex-Khan. His TvZ is still inconsistent, getting wiped by Action and Soulkey in ASL5, but he got some revenge against Soulkey in the KCM Race Wars. 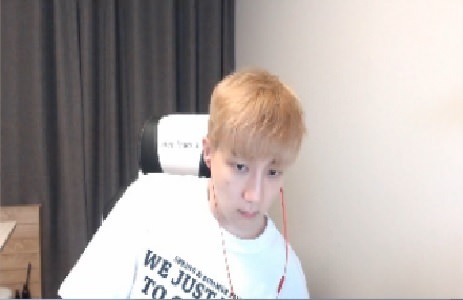 His TvP doesn’t look much more promising, managing to take down weaker Protosses like Horang2 and Movie, but going up against PvT specialist Snow will be another beast all together. Sea : Sea’s quiet spell is worrisome for the previous Proleague specialist. He rarely makes tournament appearances these days, missing out on the DanJJING Starleague and only playing 1 game for ex-Team 8 in the MPL. Perhaps the slump Sea’s been having, coupled with his focus more on his streaming career is causing major setbacks to his motivation. Still, he managed to qualify for the KSL and his Bo5 preparation was decent during his time in the spotlight. We’ll have to see how well Sea’s able to jump back into the tournament scene, but he is the underdog in this group. Shine and Snow to advance to the Ro8! Bo5 dual tournament is a first for BW (maybe a first for SC in general, I could be wrong here) and despite its lengthy process of elimination, its goal is pretty simple; to ensure that only the best get out of their group. With that said, who really is the best in one of the strongest group of the Ro16 with Jaedong, Shuttle, Soulkey and Light? This matchup is an absolute treat with both Shuttle and Soulkey historically considered to be really good at the matchup. Even today they are although there is a significant advantage towards Soulkey. They usually have a lot of representation in the KCM Race Survival Series where Soulkey has been showing some amazing performances for Team Zerg in recent weeks (especially the last week) and has outright destroyed Shuttle in every one of his runs thus far. Couple that with the fact that their head to head has been 9-1 in favor of Soulkey in the last 10 sponmatches and things are looking great for Soulkey. That said, Shuttle is known for bringing in better performances offline than online and has proven this on multiple occasions with his solid preparation in matches. With the series being a Bo5, the challenge here is eking out more than two wins and that's not something I’d bet Soulkey would allow. While this series probably won’t be like their 2010 BigFile MSL Ro4 series (aka that time Jaedong got mad and actually became a Tyrant to Light), it should still be a pretty solid TvZ series. After all Light has always been a TvZ monster boasting one of the best win rates, even rivaling Flash back in the KeSPA days. Despite his lackluster offline showings so far, he's boasting close to a 70% winrate in TvZ in sponmatches since May which is surely going to show in the series especially with maps like Polaris Rhapsody, Fighting Spirit and Circuit Breaker (wow it really does feel like BigFile MSL with Polaris and FS in the pool). As far as sponmatches go, Jaedong’s ZvT has not inspired a lot of confidence sitting at only about 46% since May. The gap between S-class and A-class player has always been super thin, with only consistency as the margin and that's what Jaedong has become at this point, inconsistent. On some days he goes down to a 40% win rate while on other days, he just ups and 5-kills in the KCM Race Survival series. While its hard to tell which Jaedong we are likely to see, he does have a huge advantage in being one of the best if not THE BEST Bo5 player in history and that kind of experience does matter with his skill set. As much as I like Light, Jaedong can still be scary! If the first two matches go as per my predictions then the winners' match would be Jaedong vs Soulkey and there I’d give a clear advantage to Jaedong. His ZvZ while not at JvZ level is still leagues ahead of Soulkey’s who lost to Calm twice (if you’re a Calm fan, I won’t apologize since you know exactly why I needed to mention it) in DanJJING Starleague, giving Jaedong the 2-0 into the Ro8. For losers’ Match with Shuttle and Light, I’d give this to Shuttle since he has been beating Flash in the MPL and looked really good against Terran recently, while LightvP is still quite the meme it used to be. That leaves us with the final game between Soulkey and Shuttle once again, which I can say that with the nature of Bo5 and the tournament structure giving them ample time to prepare, it should still go the way of their first encounter. Jaedong and Soulkey to advance to the Ro8! With Flash out of the picture, I expect players to shift their focus towards perfecting their versus Protoss / Zerg matchups. The most recent ASL might even reinforce the notion that Terran is currently struggling in a competitive environment. However, as much as some might hate to admit it, the recent under performance of Terrans has to be attributed (at least to a certain degree) to racial imbalances emerging from unorthodox maps being utilized to a great extent. 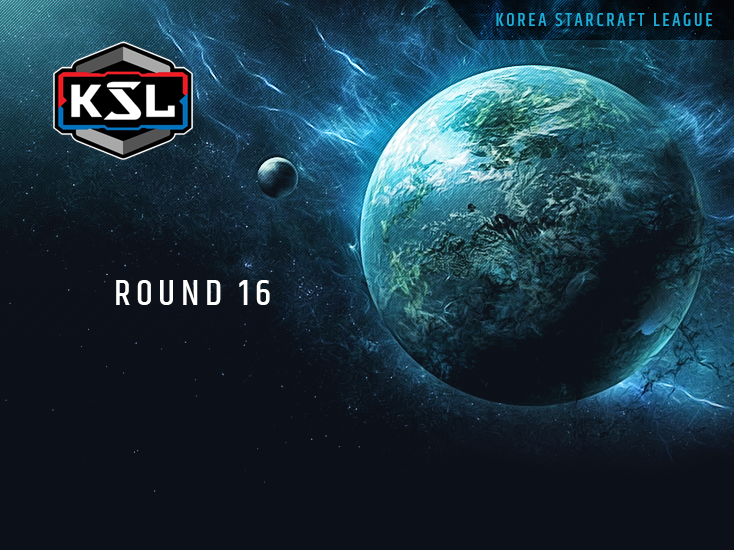 The KSL kicks the craziness down a notch, opting for more standard battlefields in Fighting Spirit and Circuit Breakers over the gimmicky Sparkle or Third World shenanigans. Hopefully this inaugural season of the newest StarLeague on the scene helps put things into perspective, offering competitors a chance to showcase their skills in a format that puts more emphasis on meticulous preparation all throughout the season. Mind : With the benefit of having to prepare for just a single matchup, Mind's chances of reaching the Ro8 go up significantly. Another factor that might come into play is the fact that both Stork and Horang2 have a negative winrate against Terran in sponsored matches over the course of the past two months and having to play a Bo5 against the only Terran player to make it out of the Ro16 of the most recent ASL might prove a task too hard to handle. BeSt : As recent results might indicate, BeSt should be considered the clear favourite to top this particular group. With a 76.5% winrate in PvP and a solid 59.8% in PvT in sponsored matches, BeSt has been occupying the fourth spot Elo-wise for over two months. A 3:2 victory over Mind in the ongoing season of the DanJJING Star League, followed by a quick 3:0 over Mong solidify my belief that if BeSt were to face Mind in either the winners' or the losers' match of Group D, he'll most likely dispatch the Terran player with relative ease. Despite the aforementioned sponmatch results, BeSt should by all means shift his focus towards mastering the PvP matchup. Getting eliminated in the Ro16 of ASL5, albeit by a rather sloppy Bo1 loss to Snow, is motivation enough. But then again, the format of the KSL is as beneficial towards the favourites as they get, so I wouldn't be surprised if BeSt topped the group without too much difficulty. Stork : With the lowest win ratio out of the three Protoss players in sponmatches against Terran, Stork should aim to avoid Mind at all costs. Not only does Stork seem to struggle in this matchup, but the map pool, unlike the one in ASL5, which, let's face it – wasn't particularly conducive to decent Terran results, includes some of the most standard maps ever to be used in competitive StarCraft. Having said that, I'm quite eager to see how Stork actually manages, since he hasn't played a Bo5 in a tournament setting in a while. Perhaps there's a chance he makes it out of the group, though I wouldn't consider him a favourite in any regard. Horang2 : The longer the series, the less wiggle room for an inferior player. And Horang2 is all, but the least decorated player in group D. Only recently managing to qualify for the ASL for the first time, he's still waiting for his break. Even during the KeSPA era, Horang2 was fielded out in Proleague on rare occasions, with a single Ro16 finish in the OSL under his belt. Quite frankly, I reckon Mind might treat the opening match as nothing more than a warm-up. If I had a hat, I'd say I'd eat it, should Horang2 make it out of this group. BeSt and Mind to advance to the Ro8! OOO ! Good write ! Let's pray for Jaedong ! Can't wait for this to begin. So many awesome match ups coming up. Stork should be able to go through. Experience, no vZ, and Bo5 are in his favour. He also started to train again after 2-3 silent months of not playing a lot. Anybody got a link to the stream? I want to participate in the next KSL! And try my luck I guess..
Twitch is working very bad with me, let me download with low speed, and even with that the connection frequently cut, I'm taking about the video, not streams, why its not on youtube, I feel like hating Blizzard for that annoyance. I like the predictions, BeSt and Mind to RO8. The KSL uses the same style group format the ASL uses, but matches are Bo5 instead of Bo1. Would the real JD please stand up? It's single elimination from Ro8 onwards.